Ski Holidays to Risoul in France 2017 & 2018. If you thought that skiing and snowboarding were just activities for the rich and famous then think again! 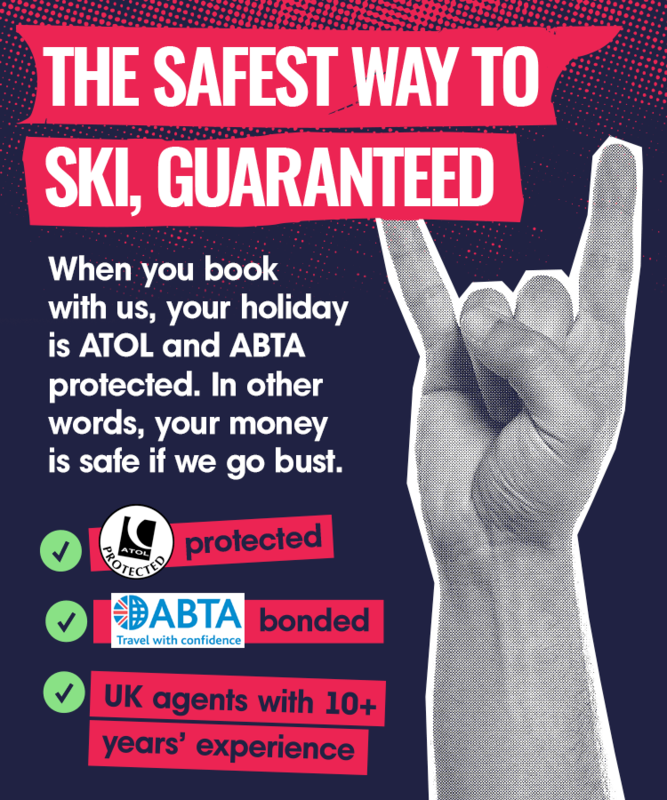 With the prices of air travel dropping all the time it has never been a better time to take to the pistes. Whether you are a seasoned skier of 20 years or a total beginner hitting the slopes for the first time, a couple on winter honeymoon or a group of 15 friends, there is something for every budget, ability and age in the French Alps. With their world renowned skiing they are a perfect choice. A 3 hour transfer time from Turin airport, the beautiful setting of Risoul and its excellent value make it a great option for a ski-trip in the Alps. Risoul is a purpose built resort and with over 180km of runs there is a wide variety of skiing available with expert and mid-level skiers catered to in particular. Risoul is conveniently linked to Vars through the Foret Blanche ski area. Though it is purpose built, the resort has a lovely French feel, with many local markets for you to buy local wines, cheeses, meats and breads. The resort has a very good snow record and gets an average of 320 days of sunshine a year. Though the resort is better suited to intermediate and advanced skiers, there are ski schools offering tuition for adults and children from 3 to 12 years, so mixed ability groups can choose Risoul with confidence. There are several wide and easy nursery slopes for absolute beginners to test their new skills on. The resort benefits from minimal queues for the ski lifts. Boarders are also well catered for with one of France’s largest board parks. There is also a wealth of excellent off-piste areas for the brave to explore. Risoul’s accommodation is largely made up of self-catering apartments. These benefit from being right on the mountain so you don’t have to walk for several kilometres in your boots, carrying your skis and poles. You can practically ski out of your front door in the morning and back through it at night. A decent self-catering apartment based on 4 sharing will cost on average £400 per week per person at peak season (including flights from London). The Balcons de Sirius Apartments are only a 5 minute walk from the nursery slopes and ski school. Parts of the resort (which still features many of the apartment blocks that were built in the 70s) were refurbished in 2003, adding some very attractive chalet accommodation. Risoul’s night life is quiet and informal, but there are number of popular bars on offer for apres-ski. There is a good mix of family-friendly venues and also a handful of cool bars and clubs. The nightlife has improved because of a growing number of students who come to ski at Risoul and this has made apres-ski a little livelier. One of the best bars in town is ‘Yeti’ which is good value for money. ‘Bar Babao’ is also a good option if you like excellent value beer late into the evening. Eating out in Risoul presents good value cuisine with lots of variety. You can get a 3 course meal from as little as 15 Euros and expect to pay on average 9 Euros for a pizza. For a traditional apres-ski meal you can find traditional cheese or meat fondue for around 20 Euros (which often includes local wines and dessert). For really excellent French cuisine try ‘L’Assiette Gourmande’ and also ‘Le Cherine’. For great value en-piste eating try ‘Snack Attack’. Shopping in Risoul is quite limited, particularly if you have to buy food for self-catering. If you are driving, consider stopping at one of the hypermarkets in Grenoble. There are plenty of activities away from the skiing to keep you occupied in Risoul. The town has an outdoor ice-skating rink for you to enjoy and there are also 35kms of snowshoe trails if you fancy seeing the beautiful views of the French Alps at a more sedate pace; or perhaps you might like speeding around on a skidoo? The town has a cinema that shows films in English during the ski season if you want to put your feet up for a while. To see the Alps from new heights it is possible to take microlite flights or helicopter rides. Finally, if you want a really alternative mode of transport across the mountains, you can take a husky-driven sled.